Leonardo Da Vinci once said “Simplicity is the ultimate sophistication” that quote was the first thing that came to mind when I played this new album of collection of Christmas songs. Pair a virtuoso pianist with an exceptional singer and you get sophistication. Steve Ladd is that exceptional singer, and the Gaither Vocal Band’s piano player Matthew Holt is that virtuoso! Holt arranged every song on this album. The recording produced by Ladd and Steve Allen. The album starts out with ‘Angels We Have Heard On High’ and the piano introduction is so wonderful, tasteful and to the point. When Steve Ladd joins the already great music, it instantaneously becomes stellar! Just Steve with a piano….is heavenly! What a voice this wonderful brother has! Matthew Holt’s piano playing reminds me of John Pantry’s piano playing….very nice! My favorite Christmas song is next ‘O Come, O Come Emmanuel’. Again just that voice and those ivory’s. Christmas songs are the ultimate opportunity for group singing, for harmonizing, the melodies lend themselves to all that, and of course the ‘together‘ oriented holiday attributes to that feeling. Not once throughout the album have I noticed the absence of background vocals…not once. Steve’s voice has such clarity and the semblance of innocence. Such a pristine tone….he don’t need no other singers. ‘El’ is the hebrew word for God and No means birth, NO-EL….birth God. ‘The First Noel’ what an awesome tune this is. In its current form, it is of Cornish origin, and it was first published in 1823. It is usually performed in a four-part hymn arrangement by the English composer John Stainer, first published in his Carols, New and Old in 1871. Steve totally nails this magnificent song. An album with the title ‘A Christmas Hymn’ could not be considered complete without ‘Silent Night’. To me Gold City’s version of this evergreen was the best ever! And in a group setting they still are, but solo this position goes to Steve Ladd! Wonderful playing and singing, can’t say it enough, you will have to listen for yourself. Like Walt Whitman said; “simplicity is the glory of expression”….my writing is anything but simple, and therefore can not accurately express the brilliance of this recording. ‘God Rest Ye Merry Gentleman’ opens with a ridiculously good piano intro…wow…this is the best I’ve heard Matthew Holt play! This song was never my favorite, I could stand The Cathedral Quartet singing it, but all other renditions I usually skipped. The credits for this rendition’s captivating quality goes to Holt! Next is another personal favorite Christmas tune, again Gold City held the favorite spot for nearly twenty years (that’s when I first heard their rendition), and now there’s Steve Ladd knocking ‘Away in a Manger’ out of the park. It’s all about the respect for the original melody. And the lyrics are so easily understood due to Ladd’s great diction. Tasteful and accurate piano playing embraces the voice, this isn’t just great accompanying, this is the song, it’s not about the guys anymore..it’s inexpressible. And the inexpressible which can only be expressed by two things……music, or silence! ‘What Child is This? Composer William Chatterton Dix was an insurance salesman. At age 29, he was bedridden for months due to a near fatal illness. During this trying time Dix began to write hymns. The most memorable of his songs is What Child is This? Beautiful song set to the melody of an old English folksong. This rendition is truly one of the best I ever heard! ‘It Came Upon a Midnight Clear’ again a treasure to my tiny Christmas music collection, I only enjoyed the following Christmas albums. Here’s that shortlist Gold City (Parker/Free era) Elvis (with Imperials) The Imperials (Taff era) Harry Connick Jr. And now Steve Ladd is added. It is getting boring….I know…but I’m excited by this album! What a joy this album is! Brought joy to my world, a world that can use some. ‘Joy to the World’ . 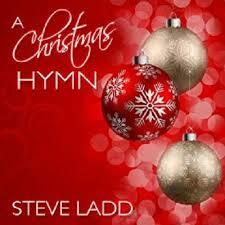 Steve Ladd is a singer, his voice never is boring, he’s one of those tenors that you can listen to all day! There’s not many that I can stand listening to for the length of an entire album! Knowing Steve personally I can sense the integrity and love this guy has for music, singing and his fellow-man. I know he is the real deal! That sincerity is reflected by his pure voice. He lives by a simple standard, he loves his Lord, and lives that to the fullest! If one quote is fitting for this album and it’s artist Leo Tolstoy said it best; ” There is no greatness where there is no simplicity, goodness and truth”.